The steps are the same for new and old firmware version. The only difference is that the new firmware works in Mozilla Firefox but not Microsoft Internet Explorer. 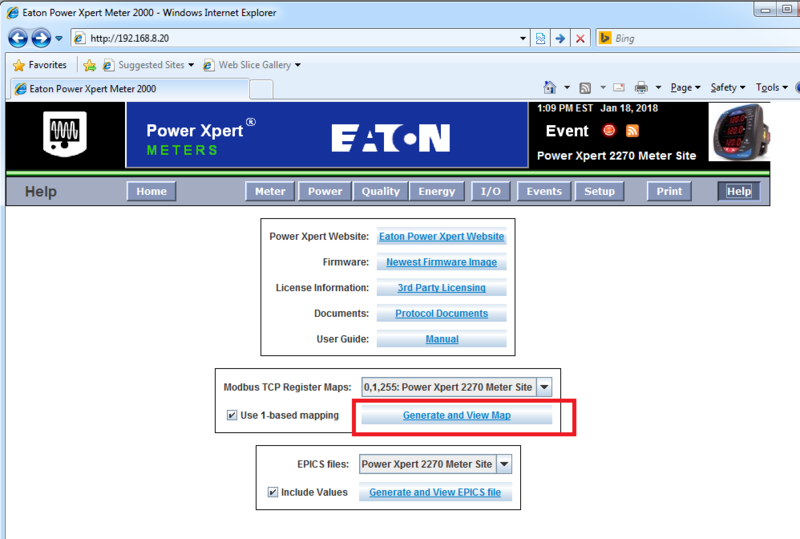 On the other hand, the old firmware works only on Microsoft Internet Explorer 8.0. We will cover new firmware first followed by older firmware. Login in to the PMX2000 using your browser. Note that newer version of firmware supports Firefox, however, older versions requires older version of Microsoft Internet Explorer. Once logged in click on “Help”. Click on the “Generate and View Map” button. Click on “Save” radio button and followed by “OK”. 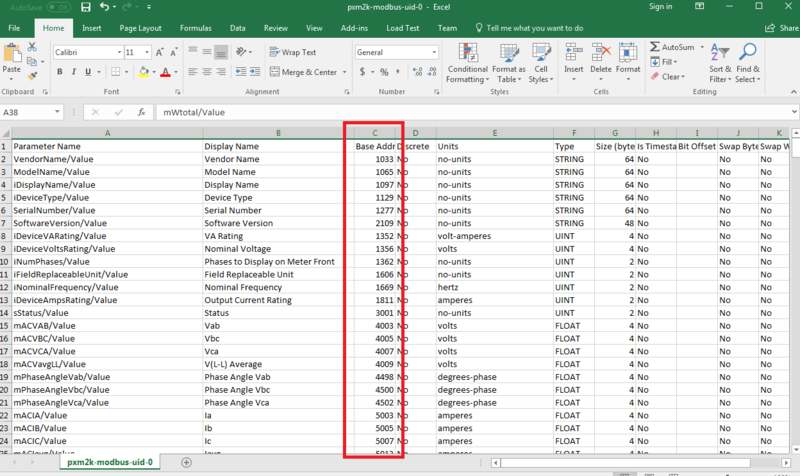 You can select “Open with Microsoft Excel (default)” radio button but downloading an Excel Spreadsheet though some network can be really slow (in upwords of 30 minutes). 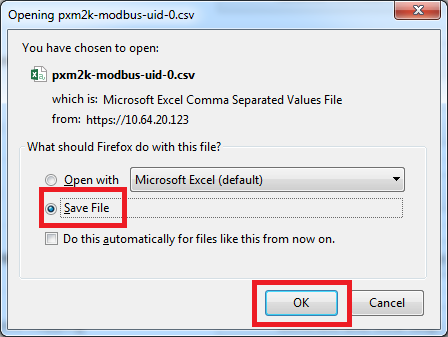 Open the downloaded CSV file using Microsoft Excel. 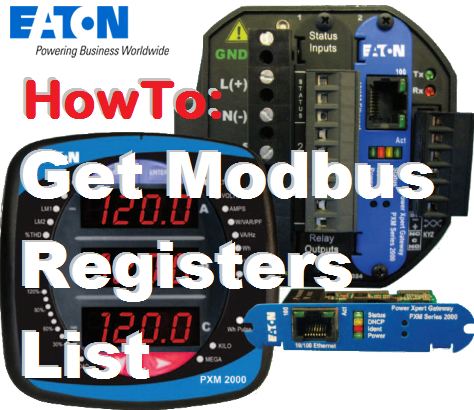 The Modbus registers are in Column C of the spreadsheet. Like I mentioned previously, the old firmware steps are the same as well. Click on “Help” hyperlink (as highlighted below). 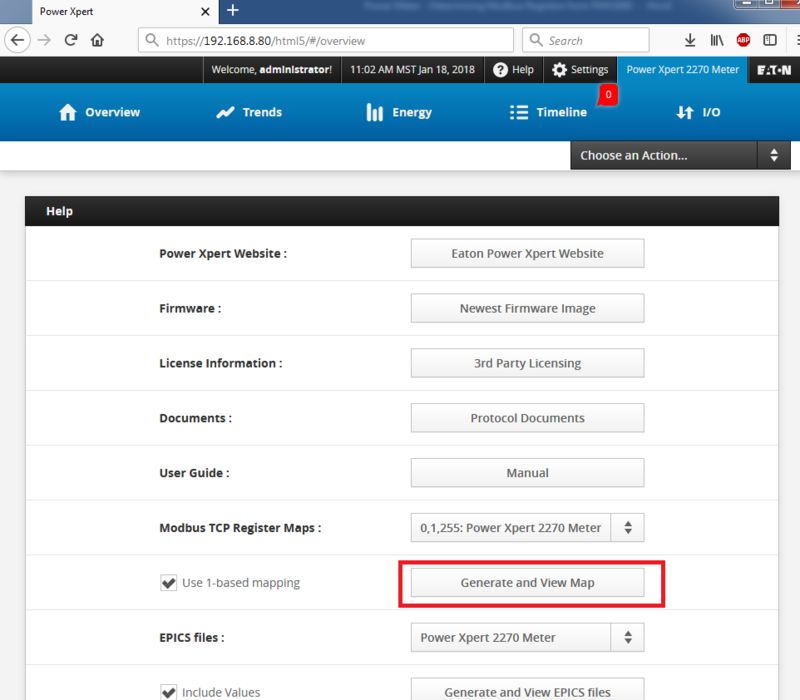 Next, click on the “Generate and View Map” button, and save the CSV file.